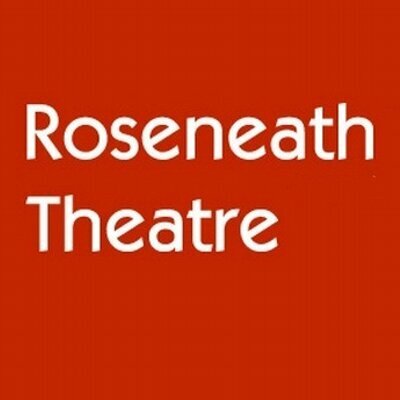 Established in 1983, Roseneath Theatre is one of the country’s leading producers of award-winning theatre for children and their families. Their commitment to excellence has earned them many accolades, including 51 Dora nominations and a total of 14 Awards. Andrew Lamb is the Artistic Director at Roseneath Theatre. 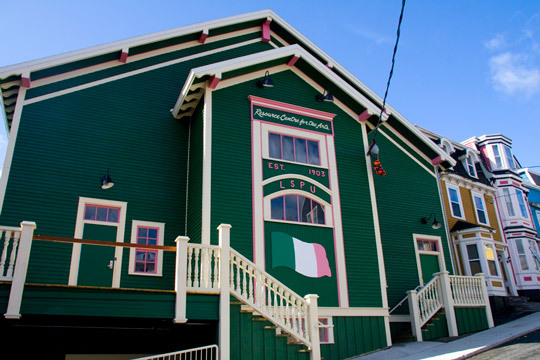 He has directed shows such as Outside (Roseneath/Buddies), The Money Tree (Roseneath/US Tour), La Maleta – The Suitcase (Roseneath/US tour), and In This World (Roseneath/Tarragon). Andrew also serves on the PACT Board of Directors and is Chair of their Membership and Engagement Committee. I had the opportunity to sit down with Andrew and discuss the creative process when producing theatre for Roseneath. 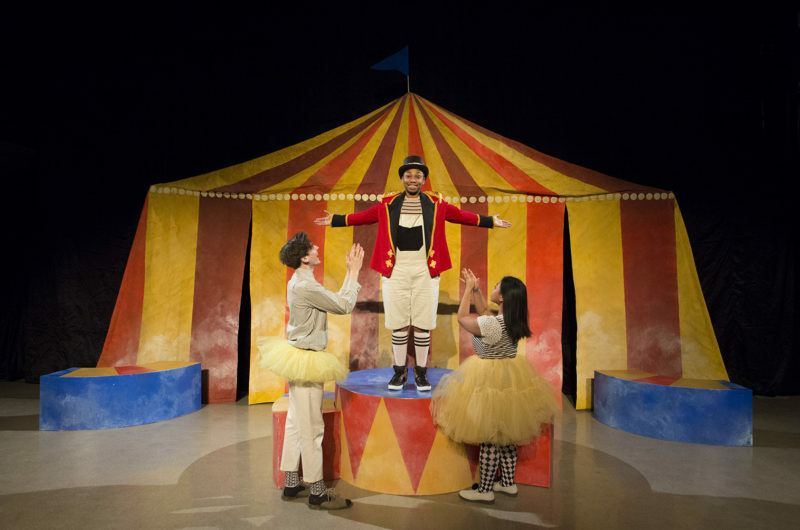 Photo by John Packman features Samson Brown, Matthew Finlan, and Athena Kaitlin Trinh in "Ladies and Gentlemen, Boys and Girls" by Dave Deveau, directed by Andrew Lamb, costumes and set by Anna Treusch, costume and set assistant Sim Suzer. Naomi: What is your perceived norm when talking about Canadian theatre? And how does your practice differ? Andrew: I would say the perceived norm that we are used to is largely based on a Western philosophy of storytelling. The framework is usually a beginning, a middle and an end. With a lot of dialogue between individuals, it reaches a climax, then provides a resolution at the end. With that said I truly believe there are a lot of companies that are breaking down the idea of the perceived norm of theatre. There are a lot of companies working with the Indigenous forms of storytelling, which makes sense because in many ways this is the original form of storytelling. At Roseneath, we are constantly looking at ways to reflect the experiences of young people back to them, and encourage them to be critical thinkers. That is largely done through empathy. We tell a story with a protagonist that they can relate to and understand. Our shows are different because they have young protagonists. We may have a protagonist that is 8/9 years old or 14/15 years old. This allows youth an opportunity to see themselves right away; whereas at a regular theatre in the city you are most likely going to see an adult protagonist. We are constantly looking for stories that reflect the varied experiences of youth today. We have toured stories that address consent, racism towards Indigenous people; we have had shows about drinking and driving as well as marijuana smoking – which have been very important stories to tell. However, as a queer artist, I realized that there was a lack of stories being shared about the LGBTQ+ experience, where youth could see themselves reflected. That’s why we produced Outside, Birds of a Feather, and Ladies and Gentlemen, Boys and Girls, which resulted in Roseneath being the first theatre company in Canada to offer a show for each grade level, from Kindergarten all the way to Grade 12, in one season (2017-18).